Purchasing property to flip can be a good investment. 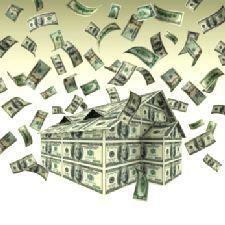 People who are looking to make money in real estate often enter the investment sector through flipping houses. Although this is technically a legitimate practice, there have been many instances of real estate fraud connected with house flipping. This list does not include all the instances which may result in a home being sold below the market value (or potential market value), but it is obvious that a person seeking homes to buy for the purposes of flipping houses may encounter emotional sellers. The idea of purchasing a home, fixing it up, and then selling it at a substantial profit may seem like an appealing way to generate income, but the truth of the matter is that fixing up houses with the intention of selling them for a profit is tedious work. The houses would not be sold at such a reduced rate if a simple coat of paint was sufficient to make the home presentable. Oftentimes, these are homes which require major repairs. Some investors do all the repairs themselves, while others contract the work out to professionals. 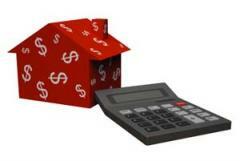 Either way, the investor must examine if the cost of the repairs makes the purchase of the home worth the expense. Some lenders specialize in investment properties, and these lenders may be able to offer more desirable interest rates and terms for flipping houses than a traditional bank or credit union can. Flipping houses is not illegal when done in the aforementioned manner: buy a home, fix it up, and then resell it for profit. The act of flipping houses becomes illegal when the investor works with the appraiser or any other involved person to inflate the value of the home at some point in an attempt to defraud a lender or buyer. Basically, when the investor is less-than honest at any point during the process, flipping houses begins to border on illegal. Potential investors may get fired up and enthusiastic after watching a late-night infomercial about flipping houses, but the truth of the matter is that it can be hard work. It is true that there is a real potential for income from flipping homes, but the money does not roll in magically; real effort must be put forth.